Notes: In 1863 the Wycombe Railway (later GWR) opened a station at Aylesbury (also known as Aylesbury Town). The Metropolitan Railway opened a temporary terminus at Brook Road on 1 September 1892. The original 1863 station was rebuilt and the Metropolitan line was extended into it on 1 January 1894. The Great Central Railway reached Aylesbury in 1899 from Annesley Junction just north of Nottingham on their 'London Extension' line to London Marylebone. The current station buildings date from 1926 when the station was again extensively rebuilt by the LNER. 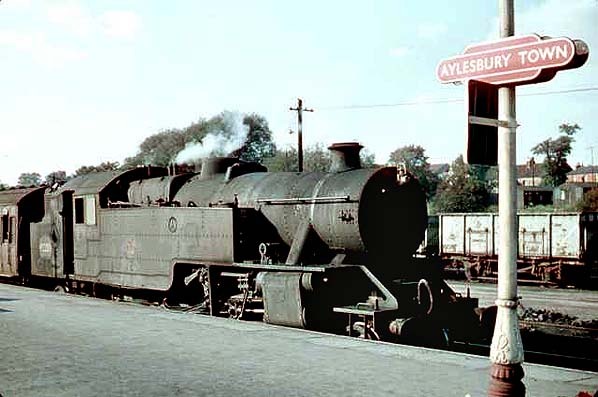 Until nationalisation in 1948, Aylesbury was a joint station operated by the LNER and the GWR. 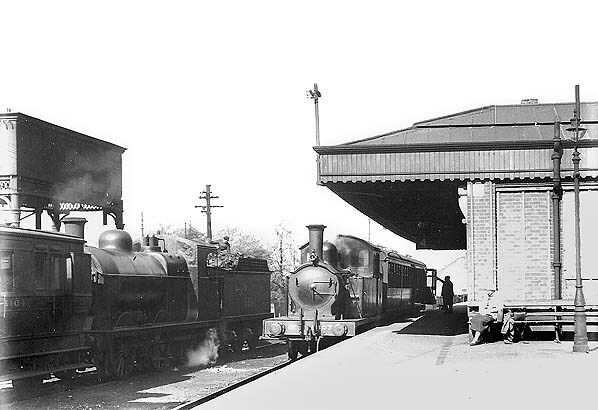 Following the closure to the Metropolitan Railways line between Aylesbury and Verney Junction in 1936 Aylesbury was the terminus of the Met's mainline in which trains had to change from electric to steam locomotives at Rickmansworth. 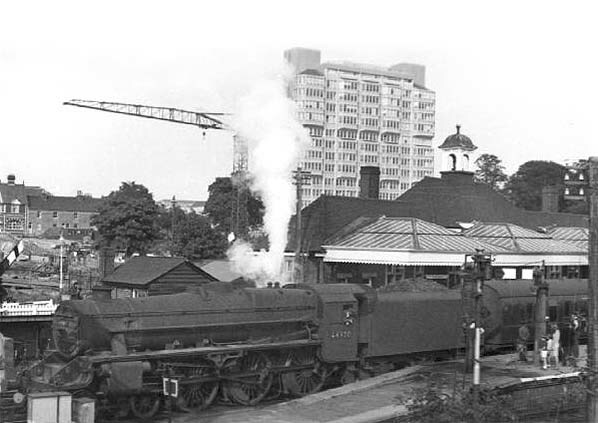 Following electrification from Rickmansworth to Amersham and after 11th September 1961 Aylesbury was no longer served by London Underground trains. staff room on platform 3 and a new heavy maintenance depot was built just north of the station. 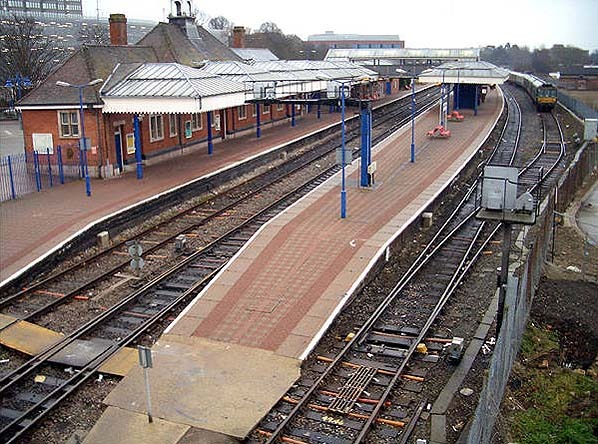 Aylesbury became the headquarters of the operational side of the Chiltern Line. Occasional steam excursions now run from Aylesbury to the Buckinghamshire Railway Centre at Quainton Road. Due to its late construction, the company was able to take advantage of the latest technology including steam excavators. It was heavily engineered with viaducts and wide cuttings with a maximum gradient of 1 in 128; there were no sharp curves or level crossings which would ensure a fast service for both passengers and freight. 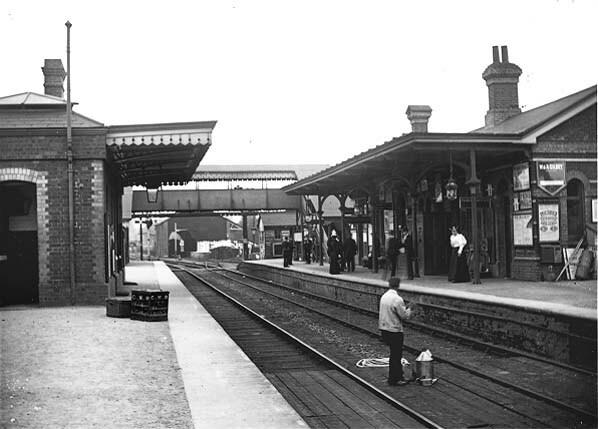 Most of the stations on the ‘London extension’ were built to a standard design consisting of an island platform with the booking office located on the platform. All the stations were built on an embankment or in a cutting adjacent to a road bridge, with access via stairs from the middle of the bridge; only the larger intermediate stations like Rugby and Loughborough had street level buildings. Because Edward Watkin also expected his trains to reach Europe through a channel tunnel, the line was also built to a larger continental (Berne) loading gauge. The Great Central opened for coal traffic on 25 July 1898, for passenger traffic to a new terminus at London Marylebone on 15 March 1899 and for general goods traffic on 11 April 1899.
the former listed trainshed from Oxford Rewley Road which was dismantled and rebuilt at Quainton Road in 1999/2000. in 2003 regular services were reinstated although passenger trains south of Rushcliffe Halt are limited to the second Sunday of each month as there is no station at Loughborough. services northwards to a new station called Aylesbury Vale Parkway at the point where the line crosses the A41 near Berryfields Farm. This area is to be known as the Berryfields Major Development Area and will include park and ride facilities for Aylesbury. 1954 OS map of Aylesbury. South Aylesbury Halt (closed 15.6.1967) is seen at the bottom of the map and the LNW terminus at Aylesbury High Street (closed 2.2.1953) is seen in the town centre.